Andrea Berg is an Attorney in the Energy and Coal industry groups, focusing primarily on federal black lung claims and litigation. She practices out of the Firm's office in Morgantown, West Virginia. Andrea has been with Jackson Kelly since 2011. She currently spends a majority of her time working on administrative law matters, including defending federal black lung claims and drafting appellate briefs to the Benefits Review Board. In addition to this administrative law work, a majority of Andrea's years of practice centered on litigation, which allowed her to gain experience in a variety of issues, including deliberate intent, employment discrimination and harassment, and breaches of fiduciary duty. She is particularly adept at the discovery phase of litigation. 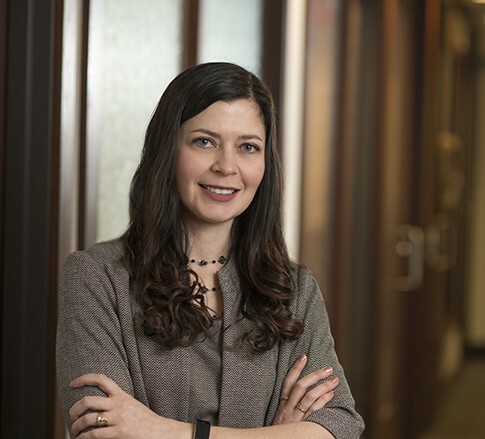 With her fellow attorneys having dubbed her the “discovery queen,” she is often the go-to voice when it comes to drafting and responding to discovery. Her litigation experience also included preparing for and participating in the trial of a dissolution action before the newly created West Virginia Business Court Division. Prior to becoming an attorney, Andrea had a much different career path, working as a social worker for Burlington United Methodist Family Services Center in Keyser, West Virginia. This experience has led to her interest and work in local and interstate adoptions. She received her bachelor’s degree in social work from Frostburg State University in 2003, and graduated from the West Virginia University College of Law in 2009. Andrea is not a stranger to hard work and a challenge; she was the proud mother of a two-year-old daughter when she began law school, and occasionally had to bring her to class (where she became a favorite of numerous professors). Andrea was also the first member of her immediate family to earn a college degree and the only attorney in her extended family. Andrea now is the mother of two children, and spends her spare time volunteering at church and her children's school. She also enjoys cheering on the WVU Mountaineers, reading, and crocheting.